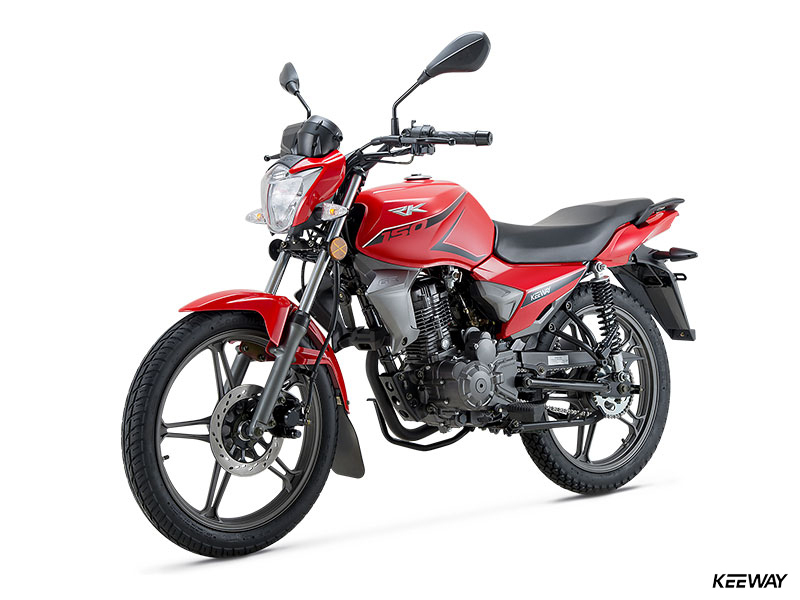 Combining sporty styling, durable engineering and extreme affordability, Keeway’s RK 150 is city runabout machine you’ll be proud to be seen on. 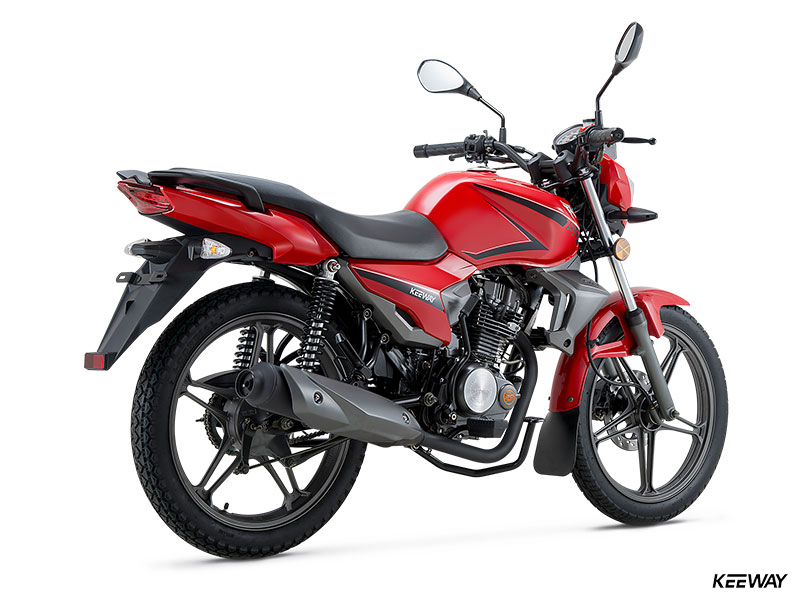 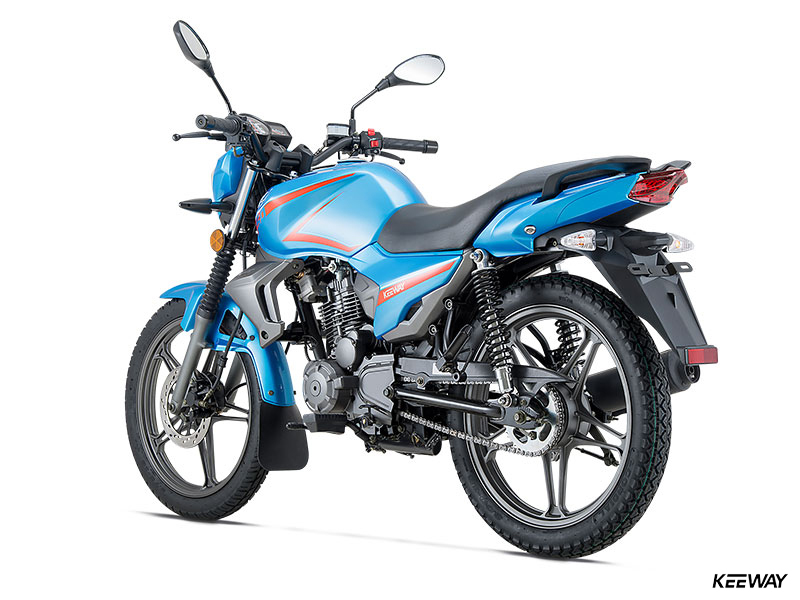 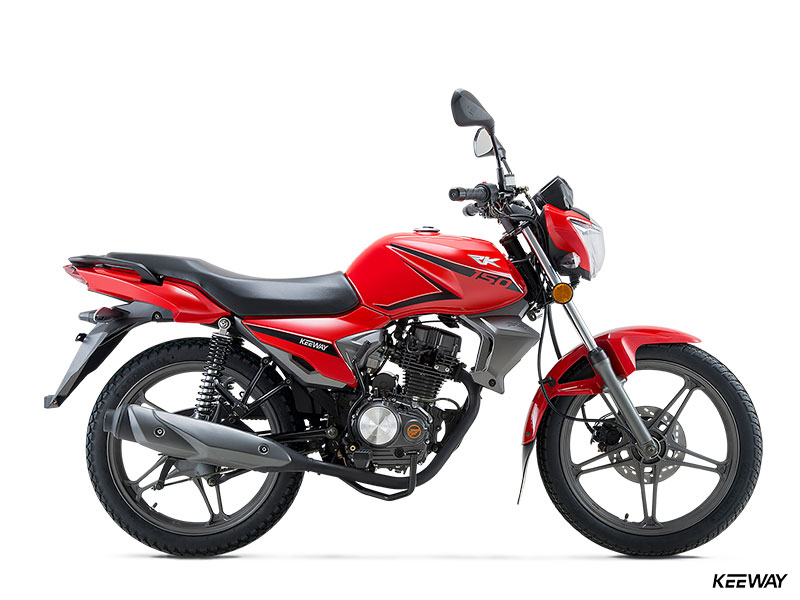 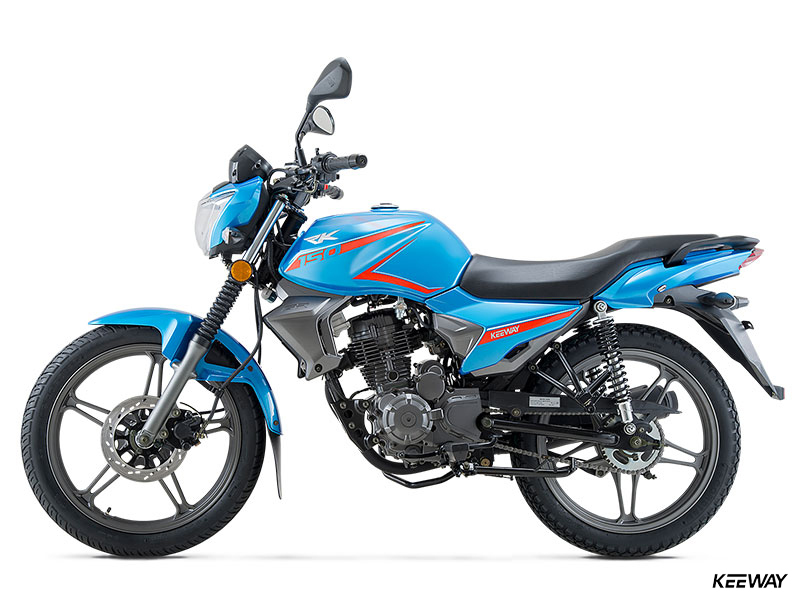 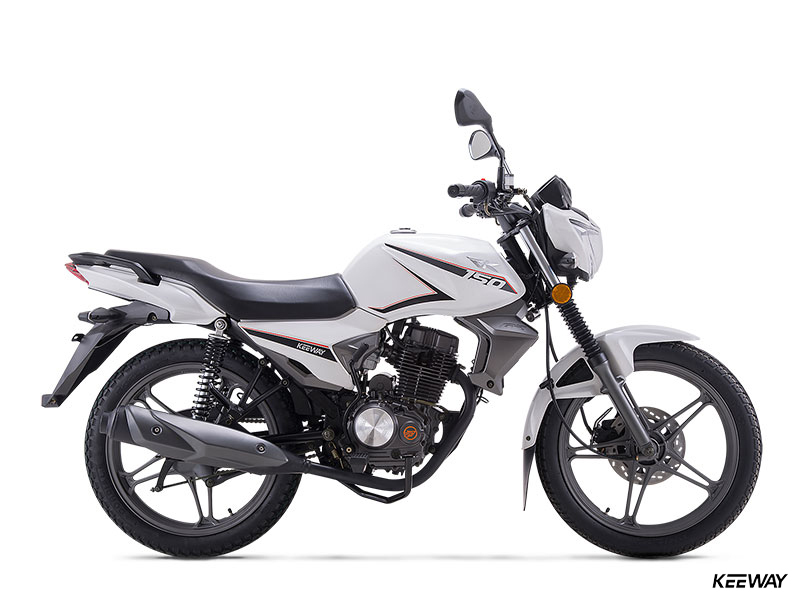 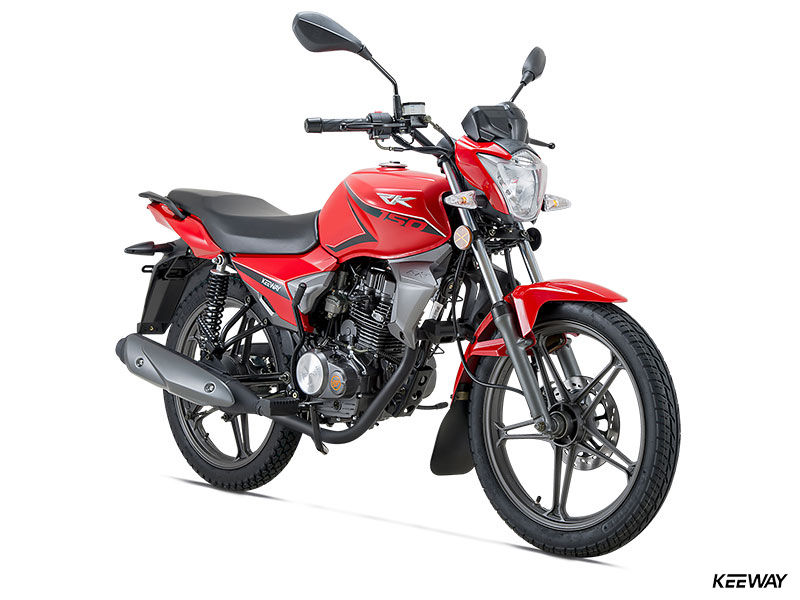 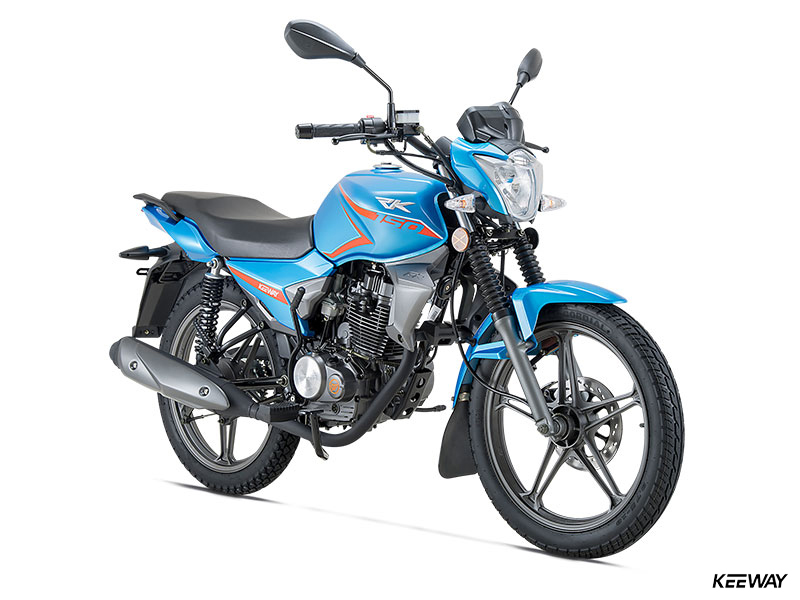 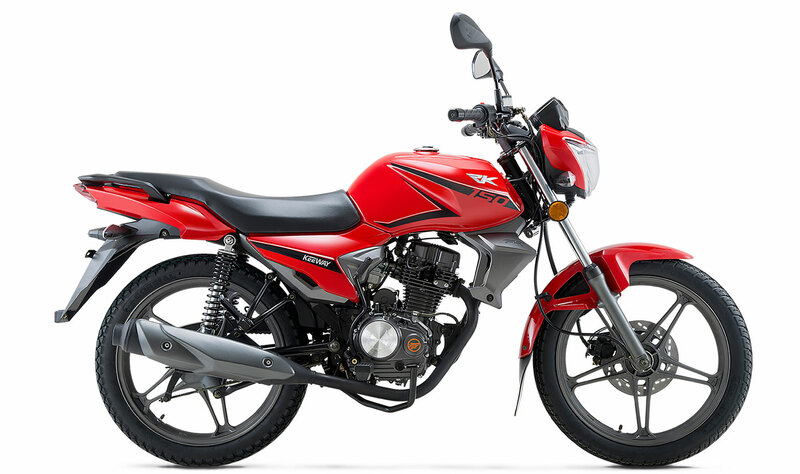 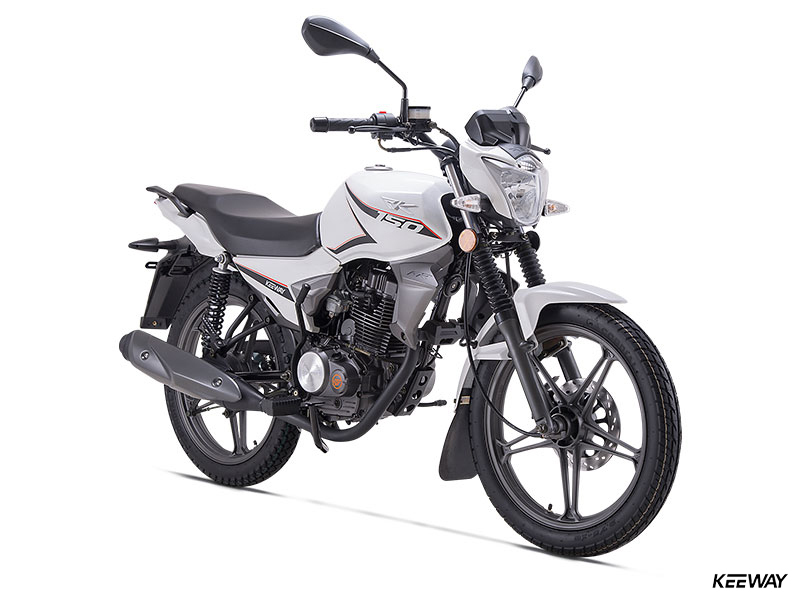 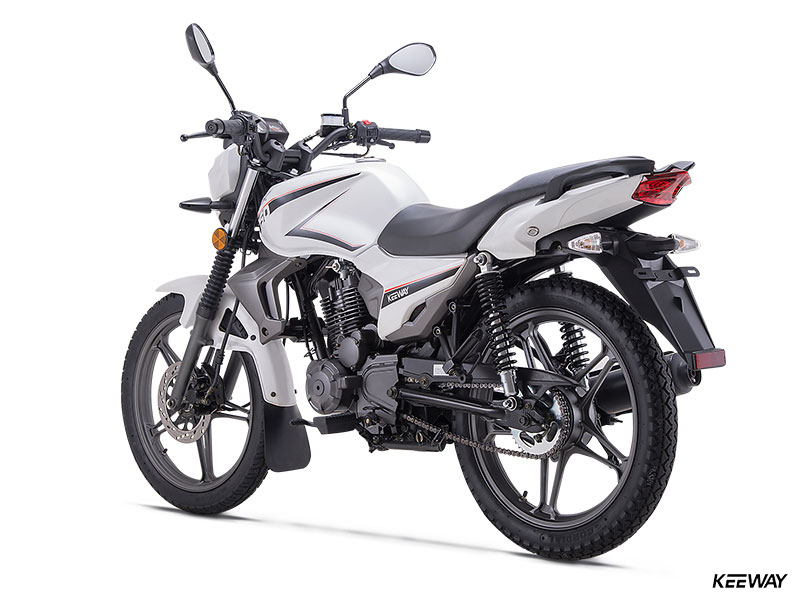 Its air-cooled 149cc four-stroke engine makes plenty of easy-to-use power, its suspension smoothes rough roads, and its nimble handling will keep you smiling all day long. 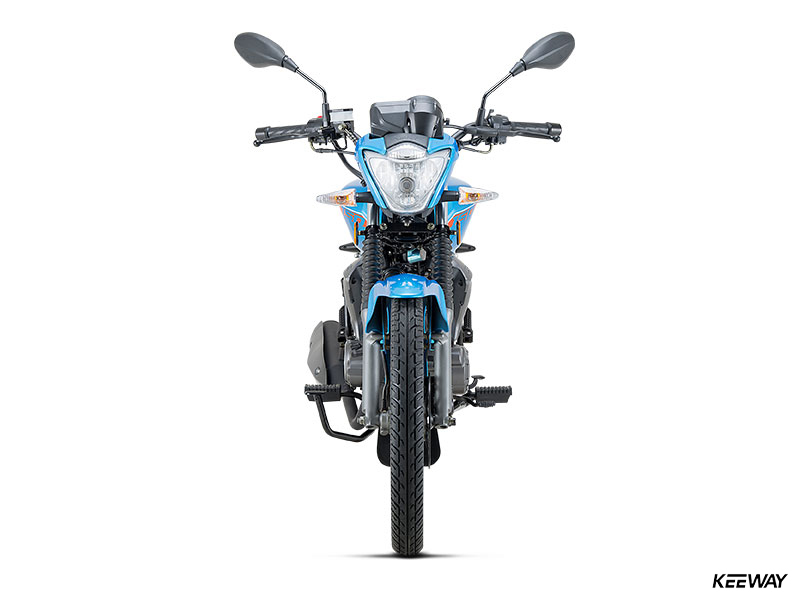 A disc brake up front and a drum-type rear slow you down effortlessly, while a dual saddle lets you take a friend along for the ride. 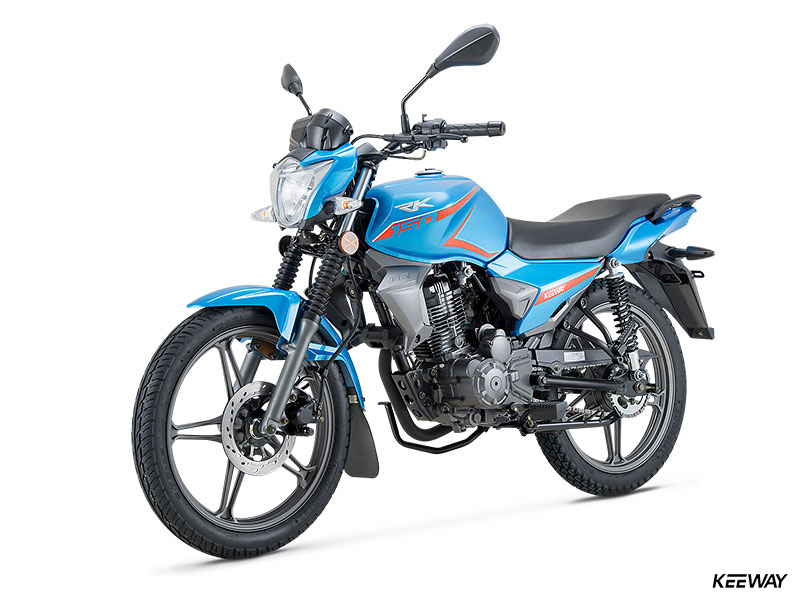 If exploring the city or taking a short weekend tour sounds like fun, the sporty, reliable, affordable and fun RK 150 is your machine. 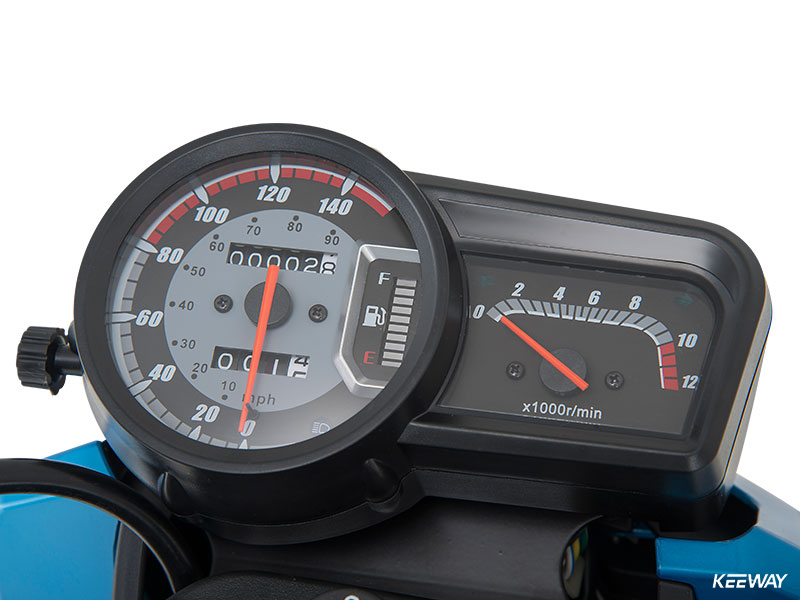 The RK 150s Air-Cooled, 149cc SOHC four-stroke engine is durable and pumps out the sort of easy-to-use power beginners and veterans alike can appreciate. 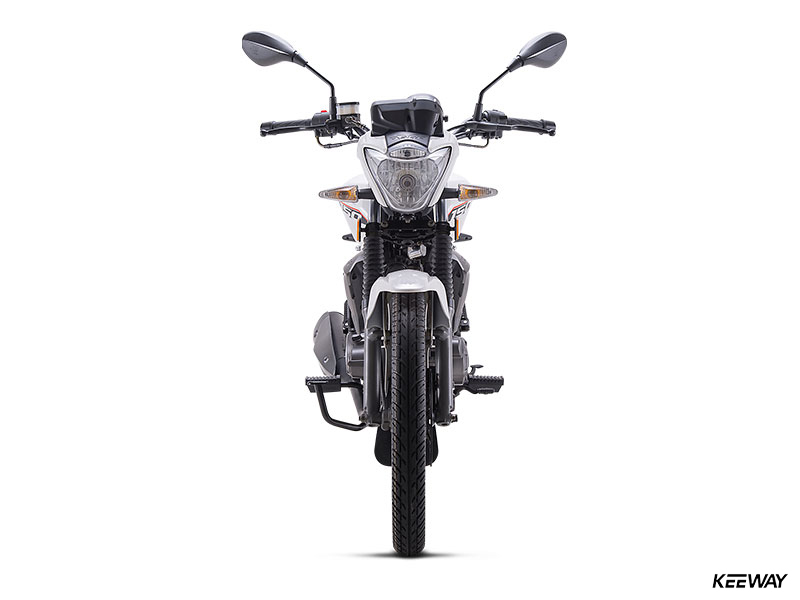 Lightweight and strong 17-inch cast alloy wheels are fitted to both ends of the RK 150, while a single disc brake ensures powerful stops. 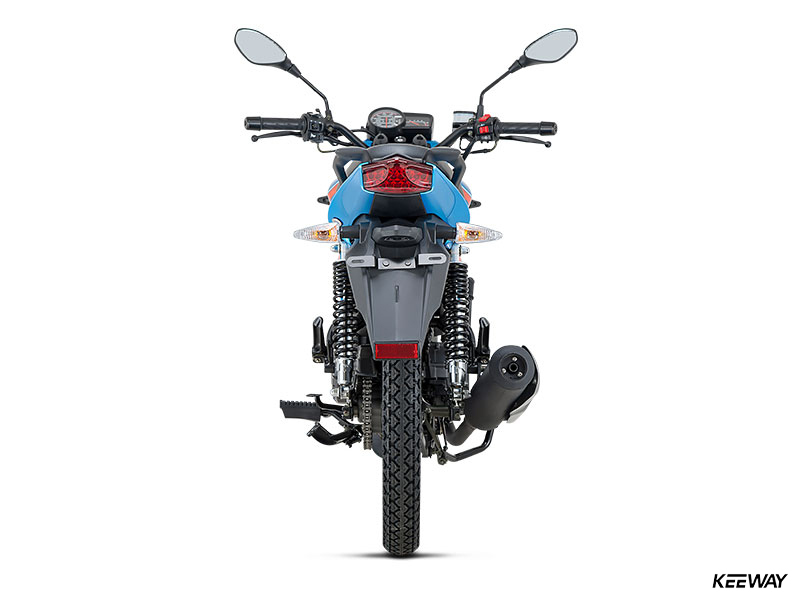 A sit-up riding position with plenty of seat-to-peg distance ensures comfortable ergonomics, while a plush saddle and rubber-covered pegs keep vibes away.